Another successful show, once again at the beautiful Flintridge Riding Club in Pasadena, CA, where I have competed for the last 30 years! Five classes on my three horses Fuego, Chrevi's Ramour and Marron resulted in five winning rides, all over 70%. Fuego in 3rd level, Ramour in 4th level and Marron in Grand Prix. 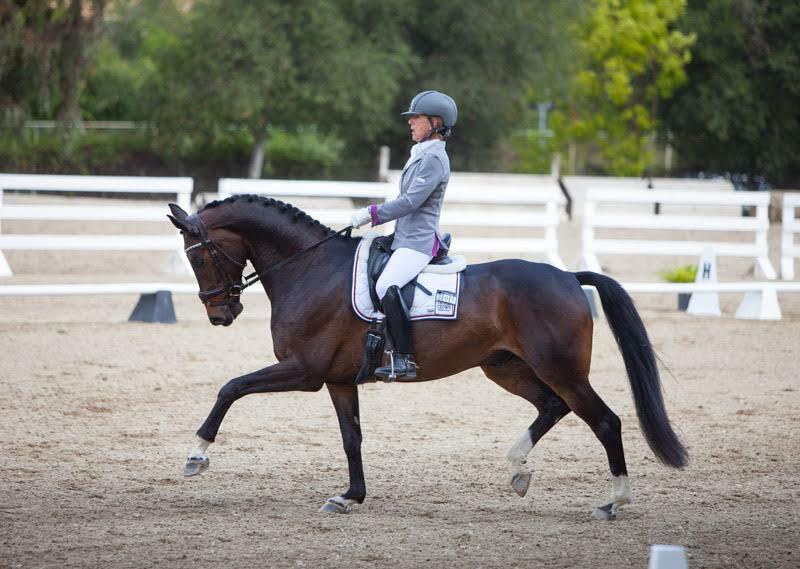 Chrevi's Ramour won his 4th level test on Saturday with 73%! Marron was super throughout the whole test and even got a 9! It was sure a fun weekend! As always, a huge thanks to my supporters and sponsors! With correct feed, nutritions, tack for the horses and outfit for the rider, it makes it go even better!